Fred Jarvis had found a lovely building plot, the only problem was that it was far too big for the bungalow he wished to build. That was until someone suggested a very clever idea. I’d spotted the ideal building plot for sale at a property auction and bid for it without checking the plans. I know it was the wrong thing to do, but plots in the area where we lived were few and far between and I bid in haste. There were outlying plans for a bungalow which I thought would be ideal. I was due to retire the following year and thought it would be just right for our retirement years. My wife, Jill had always wanted a house on one level as she imagined it would be better for us if we were to become less active in later life. We visited the plot and realised it was very large and after marking out the size of the bungalow shown on the plans that it would be far too big for the both of us. I really thought I’d made a silly mistake and should have taken advice before jumping in with both feet. I spoke to my cousin, George he owned a building business and had built his own home. George visited the site with me and looked at the plans. 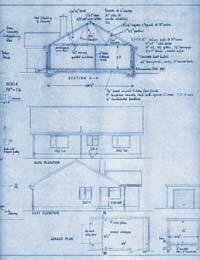 He gave me an idea of how much it would cost to build the bungalow shown on the plans and at once I knew the cost alone was too much let alone the size of the plot and the bungalow. George suggested we redesigned the bungalow to one that suited our lifestyle and needs. I didn’t realise that we could do such a thing, I was a complete novice at this building lark. What about the large garden that would be left? I was not a gardener and dreaded having to care for such a large expanse of ground rather than enjoy my retirement years. George said he thought we could fit two smaller bungalows on the plot and there was room for them to have their own entrance from the road. George introduced me to the architect who had designed his house and he showed me a small bungalow in the same street as our building plot and pointed out that we could have something similar which would most likely be approved by the Planning Department. I wasn’t so sure after all I’d made one mistake by purchasing the plot, would it work out alright? The architect drew up some plans and Jill loved the design of the new bungalow, I hoped she wouldn’t be disappointed. The plans were approved with a few small amendments to the shape of the roof which didn’t bother us at all. I employed George to build the two bungalows and he did them both at the same time. He had suggested he built one and we could move in while he built the second one but Jill didn’t want to live next to a building site. Don’t get me wrong she wasn’t a fussy woman; she was at the building site most days mucking in, even if it was making tea and clearing the garden area. We even had her mixing cement and directing traffic the day we had the roof trusses delivered. I was beginning to wonder what we were going to do with the other bungalow. House prices had dropped and the money invested in the build was our retirement money. It was while we were fitting out the properties that a very nice young lad came to lay the floor tiles. He asked about the second bungalow as it seemed he wanted to move to be closer to his wife’s family as they had a young family. We did meet his wife and little girls and got along like a house on fire. They couldn’t afford to buy the bungalow but as Jill said, we knew them and he was a hard worker so why not rent the bungalow to them?